This week we've been discussing the vital role data plays in public health, as well as highlighting PHE's data and data tools, through a series of blogs and social media activity. 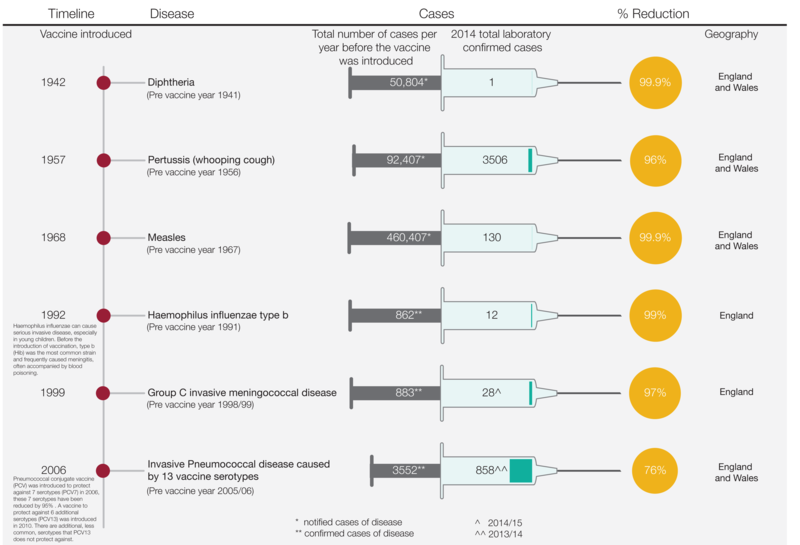 This included a blog on immunisation data featuring the graphic above. Look back through all the activity on Twitter using the #PHEDataWeek hashtag. PHE's Mary E Black also wrote two #PHEDataWeek blogs for the BMJ, discussing her love story with data and how data science will change public health. Yesterday was World Diabetes Day. We published a blog focussing on our efforts to prevent Type 2 diabetes including the NHS Diabetes Prevention Programme. The report on infections among people who inject drugs in the UK was released this week, newly updated for 2015. It includes information on HIV and Hepatitis C rates among injecting drug users. We've been supporting Radon Awareness Week by sharing messages on social media. See our blog Five facts every home owner should know about radon. 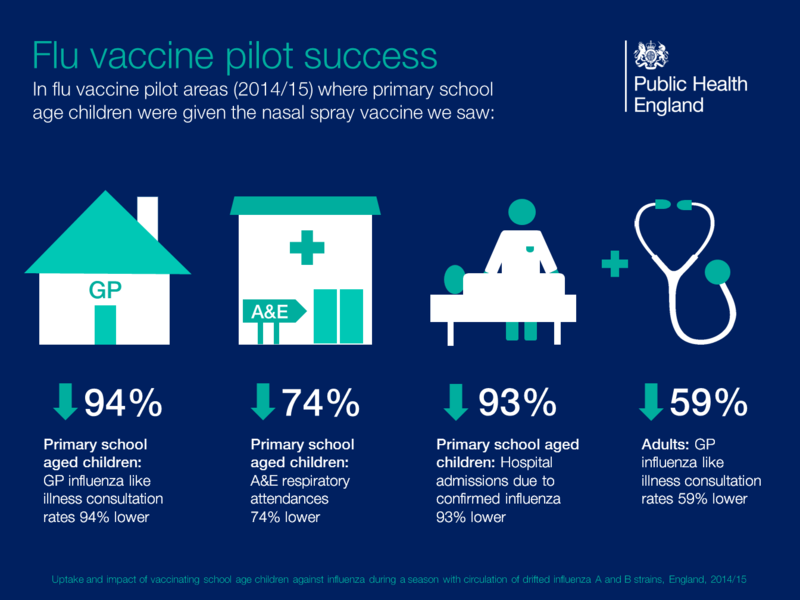 Our new blog on flu and the flu vaccination campaign includes information about the benefits of vaccinating children and the success of the flu vaccine pilot carried out across 2014/15. We are continuing to urge all eligible people to get a flu jab. For eligibility info visit NHS Choices. This week PHE's Kevin Fenton blogged on Huffington Post to explain why, when it comes to stroke, every minute counts. Next week is World Antibiotic Awareness Week and Wednesday 18th is European Antibiotic Awareness Day. We will be supporting both across social media and are continuing to urge health professionals, patients and the public to become Antibiotic Guardians. You can make a pledge and share it online, helping to spread the word and raiseing awareness of antibiotic resistance.